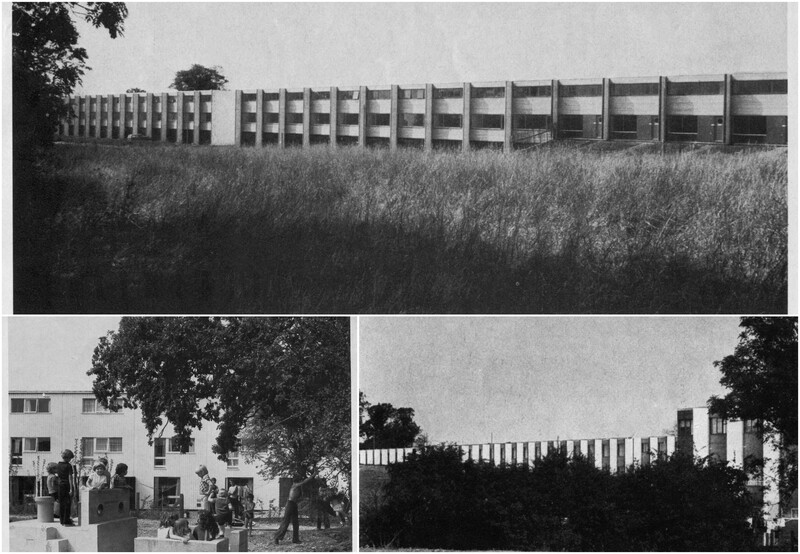 Early Grids of Milton Keyne, Eaglestone and Netherfield, I. Architects’ approach. 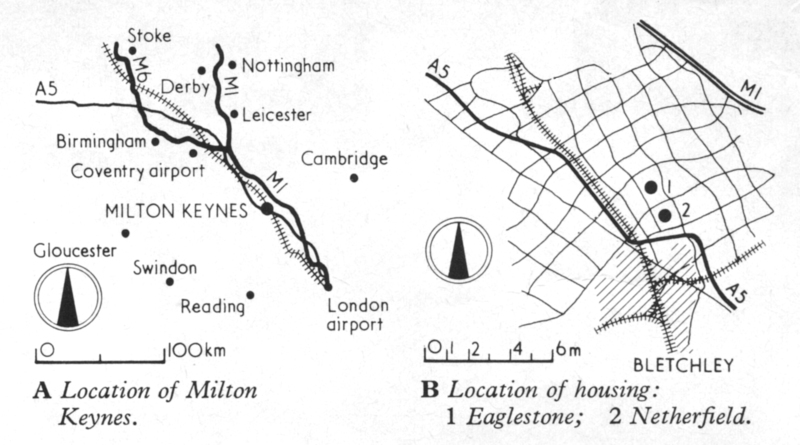 People who have followed the development of Milton Keynes from its early days could not easily forget the names of these two grids, not only because these were the first few to get published in the architectural press but also because conceptually they were poles apart from each other, despite being neighbours. Their names could roll off the tongue as easily as Laurel and Hardy or Tom and Jerry, but I can assure you that their respective approaches to the large scale social housing were very serious but vastly different from each other. 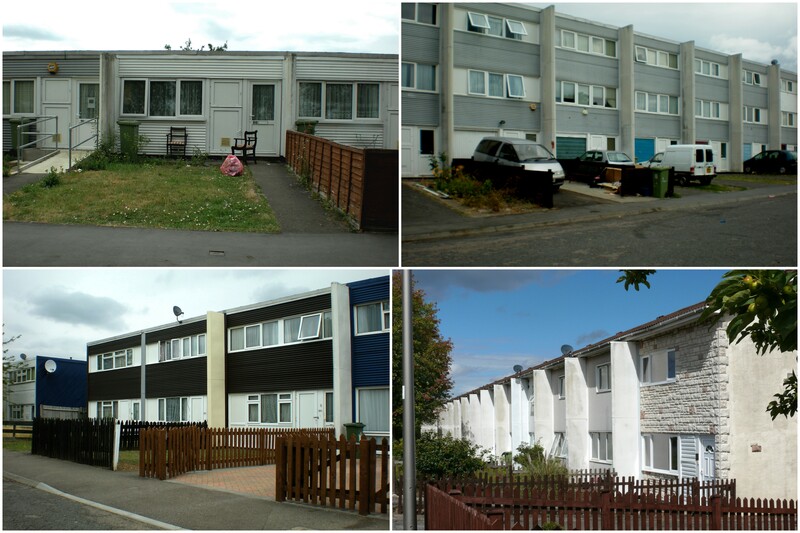 These projects continue to present us with the lessons in the housing layouts, renting and buying options, building construction and the resulting Kaleidoscopic social conditions these states were subjected to and resulting outcomes on offer now. 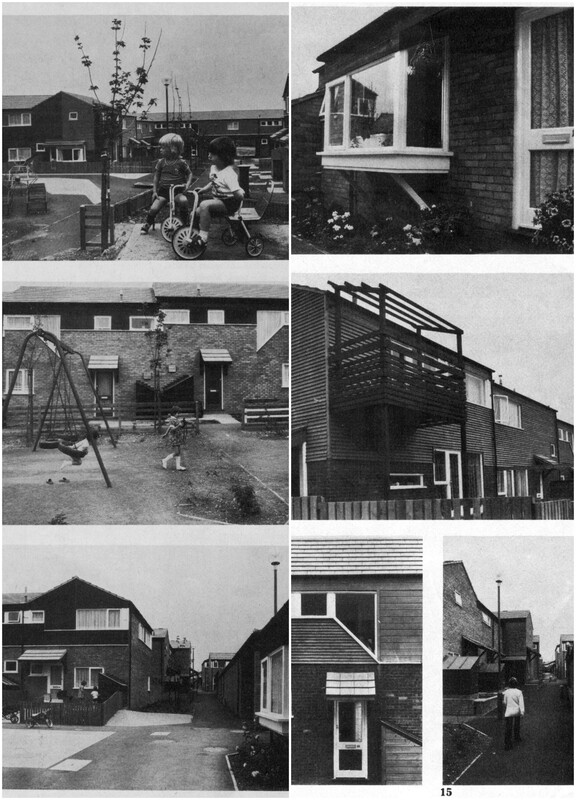 The Architectural Journal of 10 December 1975 published an article by Robert Maxwell* titled “Two housing schemes at Milton Keynes”. After considerable deliberation I have decided to quote significant parts of this excellent and uncannily far sighted article, including some of the photographs and diagrams from the same article** and then show the same schemes as these exist now with my own attempted analysis to the best of ability. I hope that this attempt would gather enough facts to examine and illustrate the role MKDC architects played in progressing the housing traditions by their own efforts and good patronage. The powers available to them ensured appropriate integration of the infrastructure in and around the housing schemes. 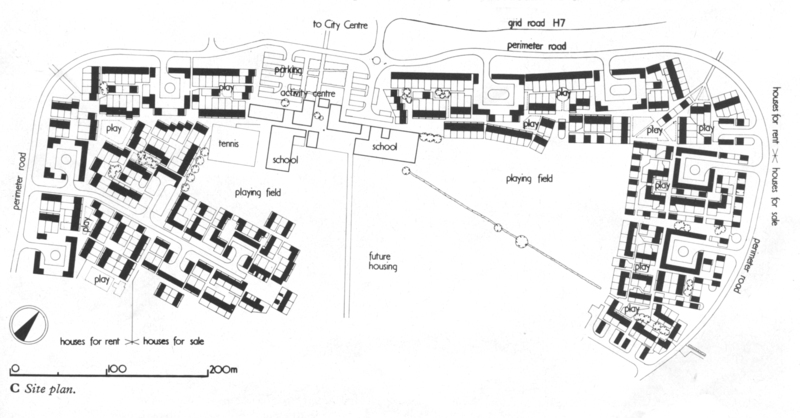 Robert Maxwell when reviewing these schemes in 1975 had a helicopter ride over the heart of the new city observing its early stages of birth and observed the toy town like housing emerging, varied in shapes and layouts. 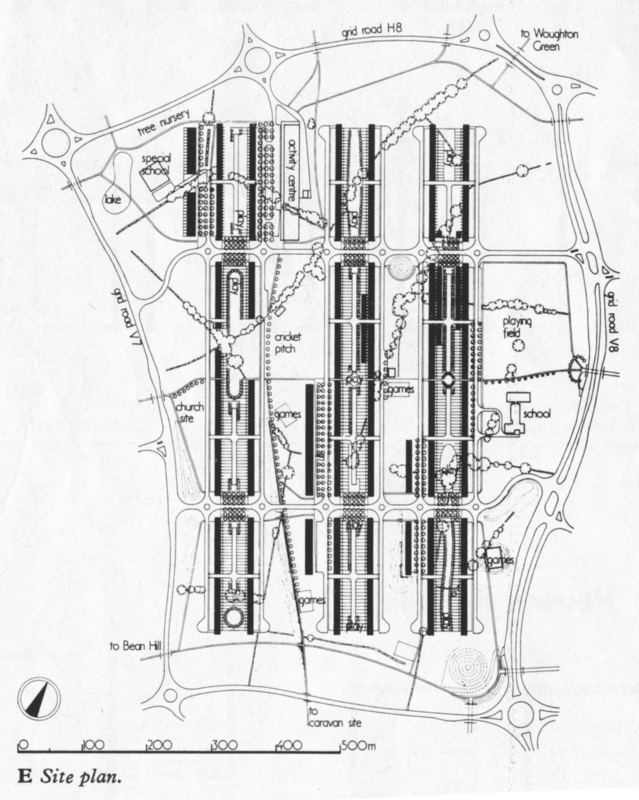 He anticipated MK’s future to be a city of motor cars served by a network of roads, saying that this gridded road system within the city was likely to neutralise relationships between the individual grids… each grid was equally accessible, and equally remote. 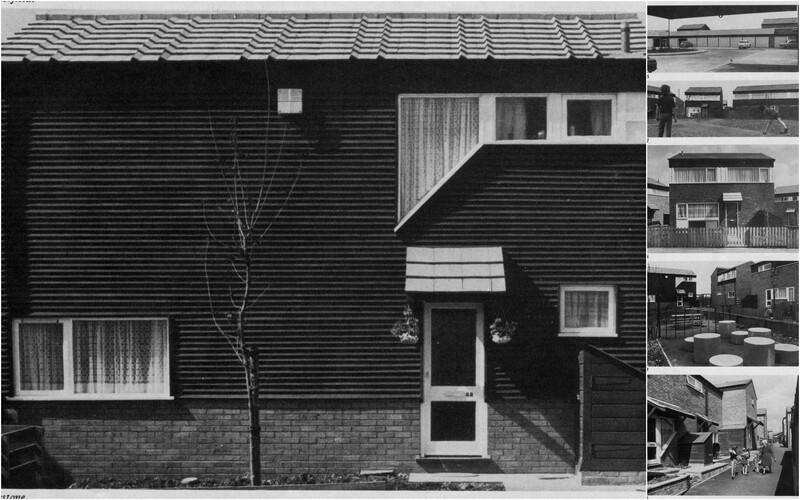 Within each grid reigned a kind of privacy, and a kind of universality…a planning policy leading to dream of suburban bliss…private yet matey, buried in green countryside yet handy to school, clinic and shops. This, he said appears to be what people want, and it is what they will get. 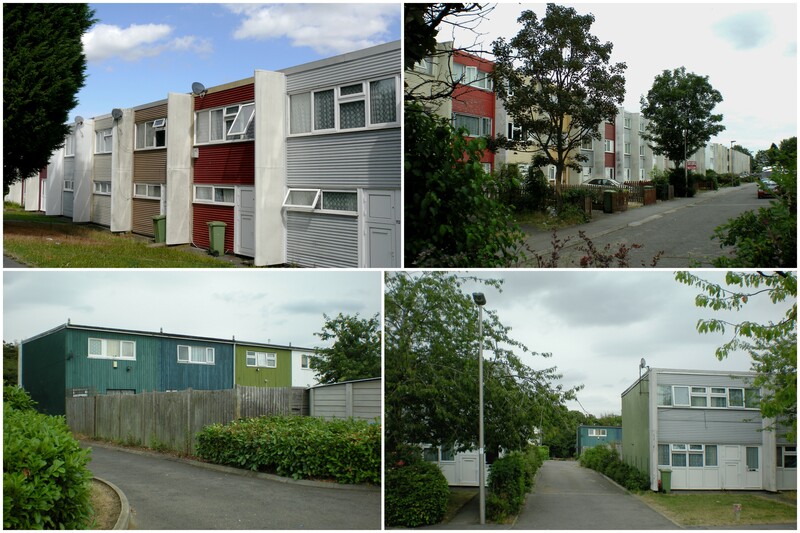 Demand for new housing and need for speedy construction provided an extensive series of test beds of housing forms and layouts, almost to a point of too much choice and making differentiation between good and bad difficult. EAGLESTONE. Architects; Ralph Erskine with Klas Tahn, Mike Linnett. Summary of Architect’s account. Attitude and aims. Living in groups from early years help form a coherent society.. avoiding isolation and social problems. A living area must be a complete and vital organism capable of change and growth. Here an attempt has been made to integrate dwell/work/shop/play/relax environments creating a sense of social community. The housing groups are subdivided into recognizable ‘gossip groups’ (30-50 dwellings) around pedestrian streets and squares car courts with arrival bays community rooms and play spaces. Work places, schools, play spaces and front door contact create activity along main pedestrian streams-strong social lines with urban qualities. 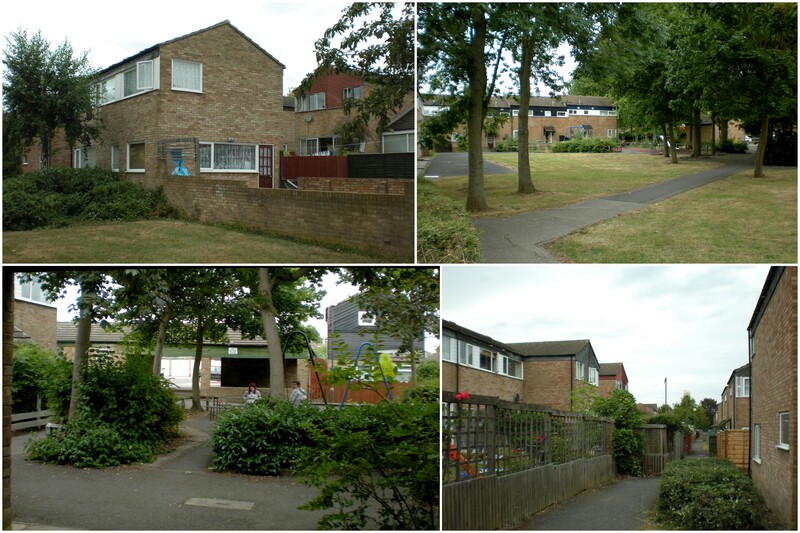 These are offset by privacy within the houses and private gardens. Traffic.The 100 per cent car society is unlikely and Eaglestone offers a place where people can live, meet, and prosper away from traffic. A ring road serves the car harbours leaving extensive areas free of traffic for pedestrians. 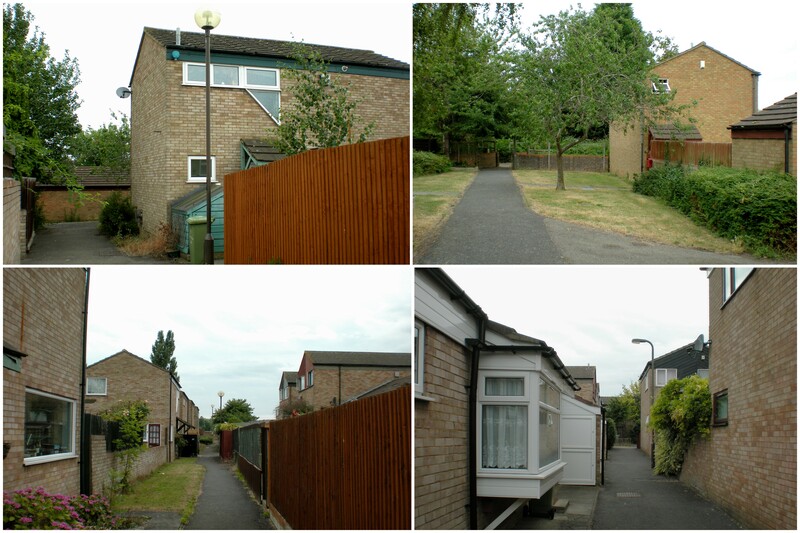 Housing Identity and Layout. The housing is for sale and rent and has been designed in various configurations to provide individuality and specific characteristics and avoid distinction between rental and private ownership. Existing site features and levels are exploited to provide variety of situations; hilltop, valley, bowl and slope. Houses are intimately grouped around common open spaces which link different areas yet contrast with open public spaces. 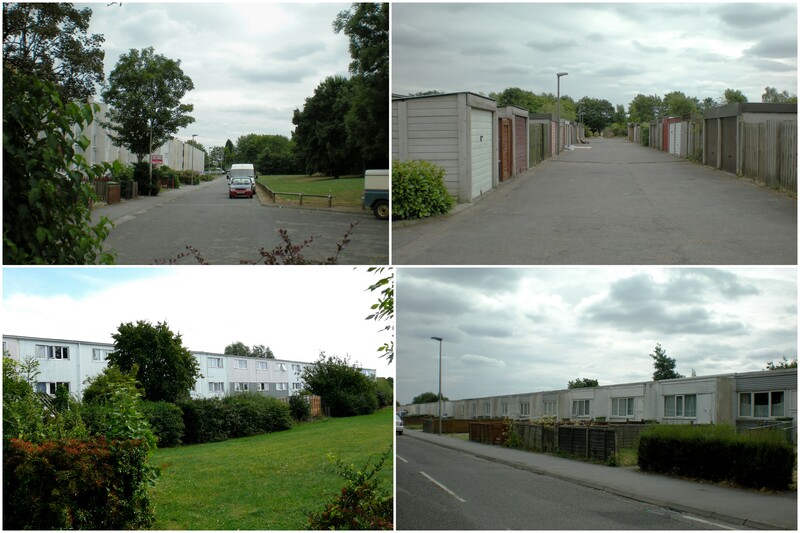 Particular attention has been given to negate the separation resulting from busy grid roads by linking the housing to the housing on the surrounding grids. Construction. The shortage of traditional building materials and suitable craftsmen during this period and both these schemes were meant to be built using light weight timber frame but these houses were built using brick and blocks. The extensive use of timber boarding is an applied elevational treatment which remains from the original timber frame days. The house types are based on a simple box design modified slightly to suit the siting and individual desires and to certain extent avoid regimentation. NETHERFIELD. 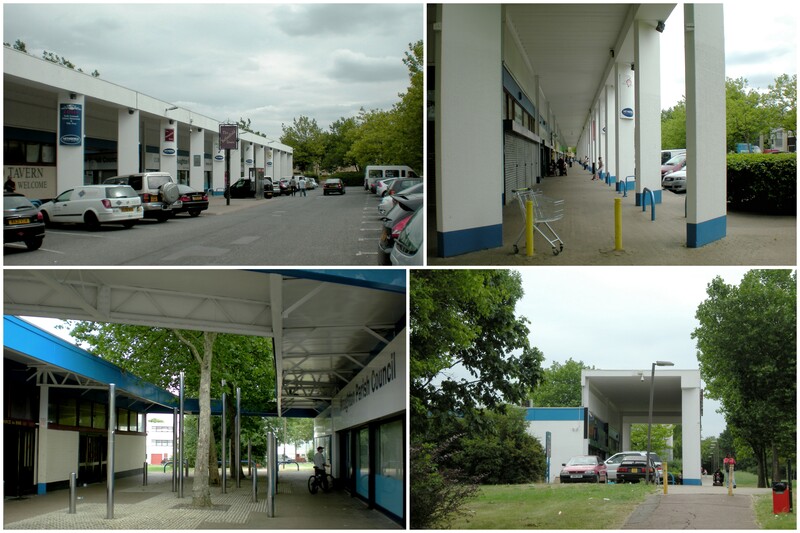 Architects; Milton Keynes Development Corporation. Design Team; Chris Cross, Jeremy Dixon, Mike Gold, Ed Jones, Jim Muldrew, Don Ritson, Derek Walker, Philip Ware. Summary of Architect’s Account. 50 hectares, rolling farmland site with hedgerows and trees. Net housing site area 27 hectares. Brief asked for 1068 dwellings at a density of 179 bedspaces per hectare with ancillary social, commercial and school buildings. Labour shortage and need to build quickly meant that various options, including precast concrete, rationalised traditional or timber construction were considered and contract for a timber platform frame construction was finally adopted. Timber frames, including the party walls were bolted down to a power floated concrete slab. Walls were covered in a silver profiled metal sheet and back elevations were timber boarded. The 5 degrees pitch roof was covered in lapped aluminium sheeting. Windows were mostly in timber. A grp full height cheek is applied to ends of the party wall on public side. acting as a pilaster. Certain city ground rules concerning access from grid roads, cordon sanitaire, placement of social buildings, pedestrian underpasses were already in place to follow. The initial studies involved the investigation of ideas to achieve spatial continuity in spite of grid system, but this proved an immutable barrier. 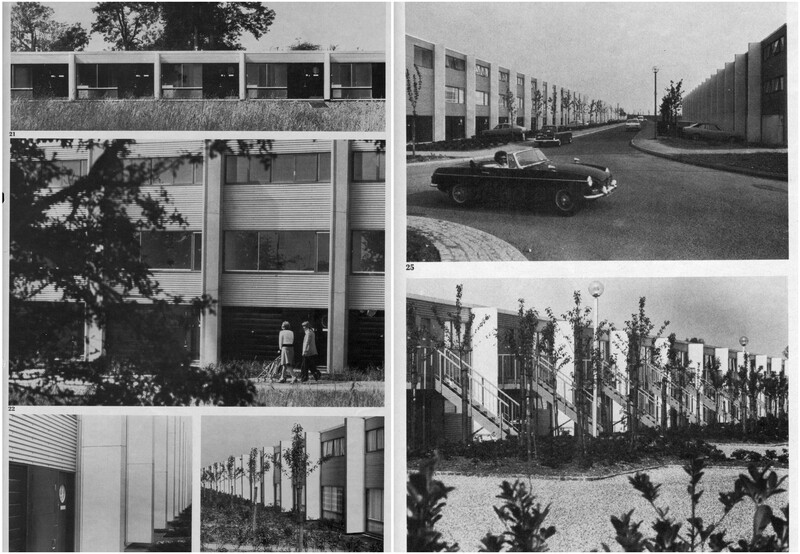 On closer examination the housing densities were less relaxed than implied by the master plan and rather than inventing new forms for an imaginary suburbia, the sources that came to mind were more familiar. Also implicit in a scheme of this size was the problem of developing an organisation in which a number of different people at a design stage, and later, could contribute at different scales. The need for this kind of comprehensible idea underlies the apparent rationalism of the layout. 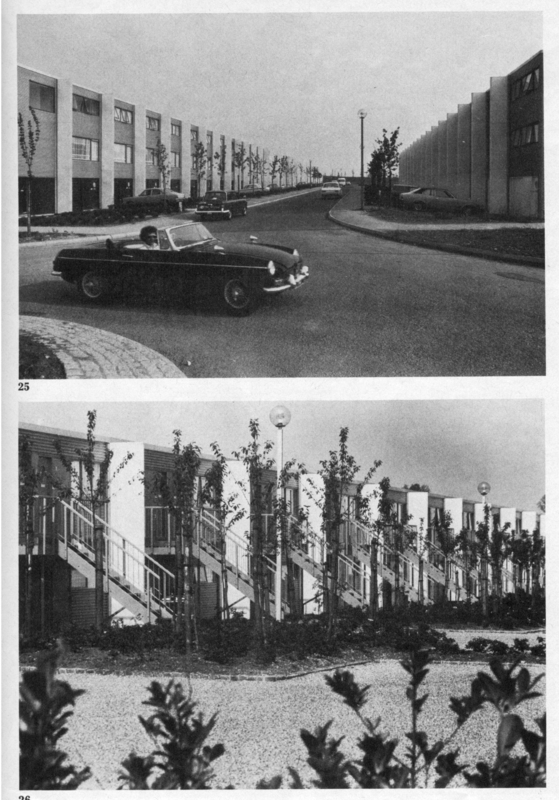 Pattern of streets: the inevitability of the car in the house or on the plot as solution to housing layout, as opposed to Radburn principle with its semi-exclusivity and confusion of the public and private domains. 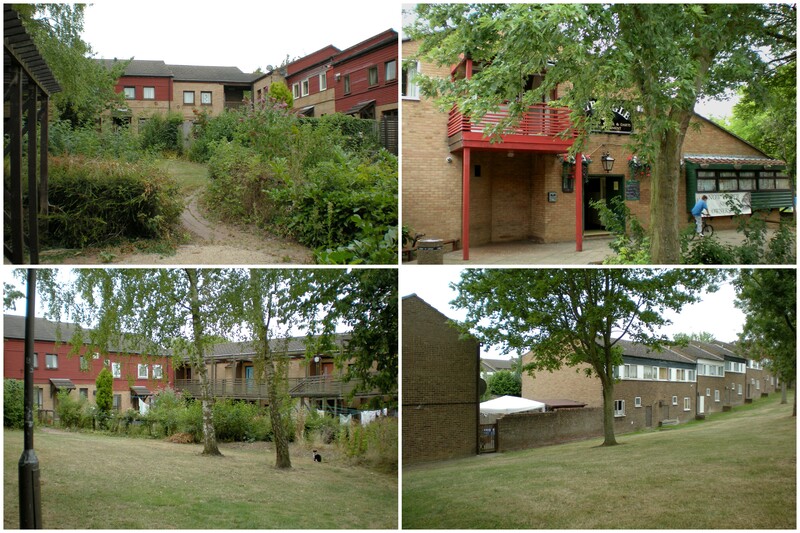 Terrace housing: conventional house plan and with as many variants as possible – fronts and backs; one formal side addressing public space; the Regent’s Park analogy; one side open with possibilities of future extensions; a private garden having a sense of being connected to other open spaces. 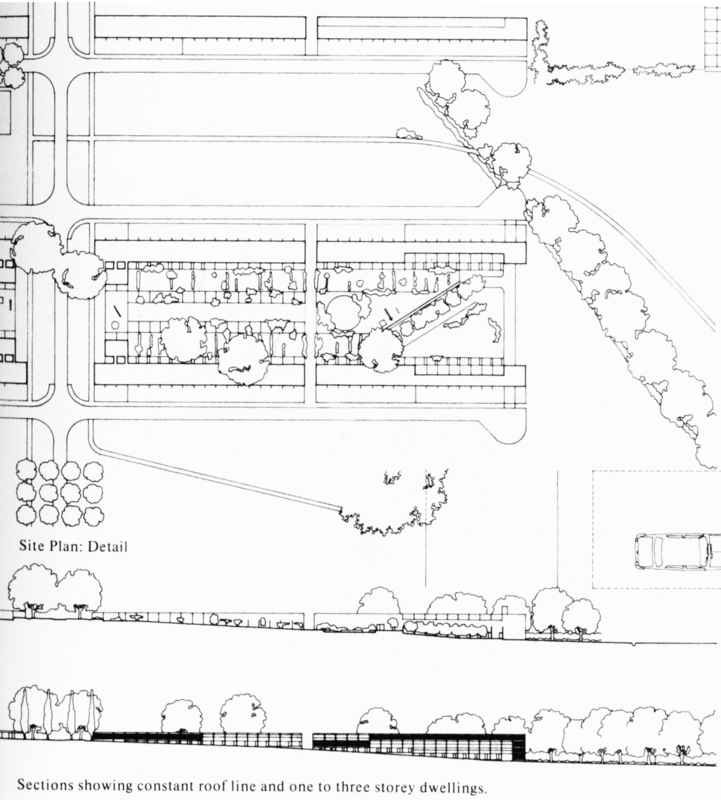 Landscape: the large scale interplay between informal landscape (existing hedges and trees reinforced by new planting) and the harder geometry of buildings – English landscape tradition. This is further established by the constant roofline , the interplay of which, with the undulating ground plans, begins to offer variety in sections (1-4 storeys) and plan types (there are 17 variants). Repetition; to make the most of the formal collective qualities of social repetition. The straight line of the terrace accentuating the low curves of natural topography; the sum of the parts etc as in the 18th to 19th century street architecture or as in Oud’s little houses at Kiefhook in Rotterdam. 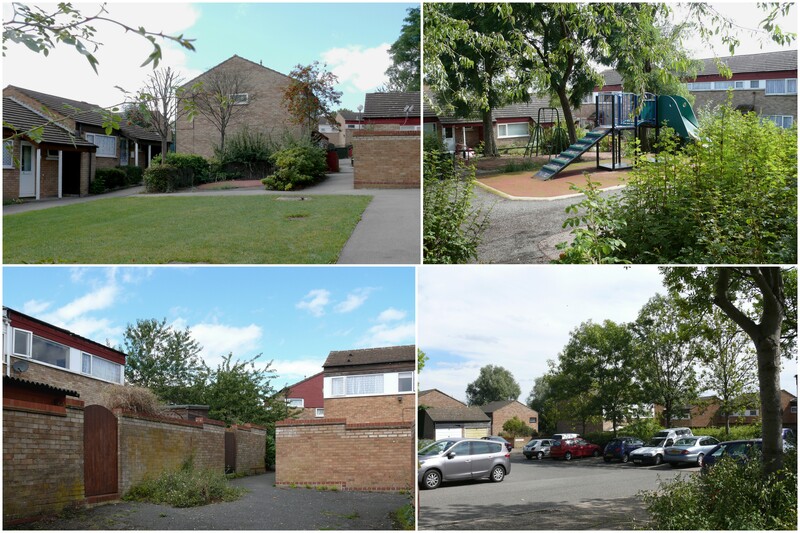 We believe it would be premature to evaluate Netherfield fully before the landscape had established itself and the evolutionary process had played its part. The appraisal is based on Robert Maxwell’s AJ article. * Robert Maxwell studied at Liverpool University where he met James Stirling and Colin Rowe. He has taught at Bartlett and Princeton, writes extensively, teaches and also practices. 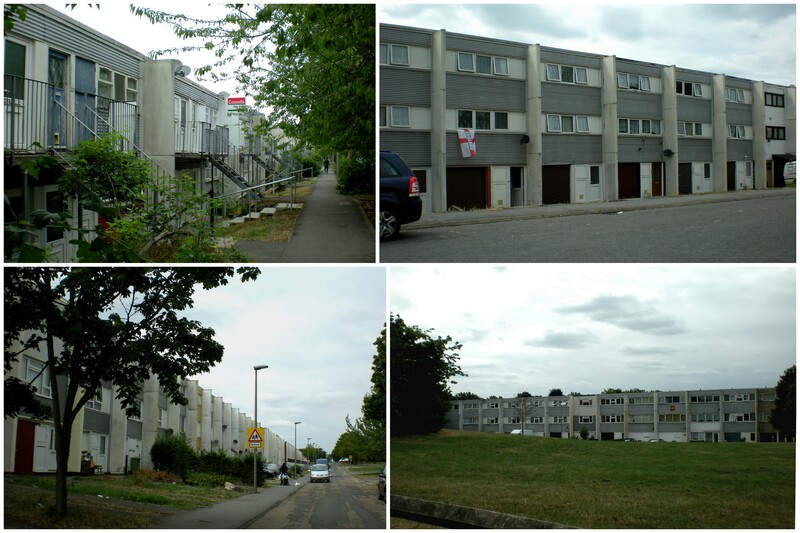 The part two of this Blog will deal with the environmental choices faced by each scheme as perceived by Robert Maxwell and finally the role ravages of time played on both schemes. ** Black & White photos from the same article as above by John Donat.